Are you an author in Italy who has written a fiction or nonfiction book and are now looking for a publishing house? If so, the following 19 top Italian book publishers are accepting submissions. One of the most popular and successful publishing houses in Italy; Adelphi Edizoni was established in 1962. Luciano Foa and Roberto Olivetti wanted to promote and preserve Italian tradition and culture. They started by translating works by famous authors in Italian with the first being a crucial edition of Nietzsche. They have earned a reputation for taking risks and publish authors who have trouble getting published in the country. Other vital authors they have translated and published include JRR Tolkien, Nabokov, Robert Walser and Milan Kundera. They are the premiere Italian publishers with many local authors included in their roster. Genres they prefer include art, history, translations, Central European literature, science fiction, journals, ancient history, music, crime, policy, cinema and essays. Authors and writers can send manuscripts to the Milan based publisher via post. You can find the address and contact details here. It is a traditional, powerful publishing house owned by the Mondadori Group. What started as a publisher of children’s and teen’s books has now become a business to reckon with. Iconic authors all over the world work with Mondadori to translate their works for Italy. The list includes names such as Salman Rushdie, Henry Kissinger, Thomas L. Friedman and Mauro Corona among many others. They pay homage to Italian culture and tradition by publishing classics and famous local authors. Gabriel Garcia Marquez also belongs to the Mondadori family and his arrival marked a long custom of finding and promoting talented foreign authors and writers. They publish fiction, classics, non-fiction and contemporary fiction. You can contact the publisher by sending a mail and learning about their submission process. Started by a bunch of friends in 1933 to use books to disseminate culture, freedom and vital issues. A radical and a liberal, Leone Ginzburg wanted to merge his political ideologies with his books and find stories that support and spread his ideals. Giulio Einaudi found the writers and authors while Ginzburg ensured the mission of promoting Italian culture and politics stayed on track. In 1944, Ginzburg was captured by Nazis and tortured for his political leanings. Einaudi continued as a progressive, cultural and radical publisher eager to print the next revolutionary book. Over the decades, the publisher printed fiction and evolved from politics to global issues such as democracy, civil rights and ethics. The genres they print include art, non-fiction, science, poetry, human sciences, Italian narrative and political economy. You can contact them via email after reading the submission guidelines here. With a history that spans centuries, Zanichelli was one of the first Italian educational publishers. Formed in 1859, it has the distinction of publishing the translated works of Albert Einstein and Charles Darwin. The publishing house has over 2,500 titles in print which include atlases, educational materials, nature guides, architecture books, scientific works and dictionaries. The founder Nicola Zanichelli believed in the power of literature and its use as tools for disseminating knowledge and information only. Based in Bologna, Zanichelli has several Nobel Prize winning authors in its roster. Writers and authors can contact them if they want to write non-fiction, textbooks, digital content, legal manuals and scientific texts. Formed in 1959 with the aim of mixing culture and literature to give Italians a taste of global values, Citta Nuova Editrice is located in Rome. Being in a city that was the hub of Christianity and faith, it allowed the publisher to engage in important debates and print books that opened dialogues across avenues. They are eager to accept challenging, groundbreaking work that doesn’t stick to conventions or adheres to rules. Genres they print include comics, literature, language, architecture, communication, education, human rights, art, ethics, religion, Holy Scripture, wellness and theology. You can submit a manuscript via email after reading the guidelines listed here. A young publishing house, Marcovalerio was established in 2000. This boutique publisher started off by printing books for the visually impaired. Literary classics or famous translated works were made available for the visually impaired and dyslexic readers. It was considered a gamble at that point but Marcovalerio and its employees believed in the future and that specially challenged readers deserve to be exposed to famous books and classics as well. They print and publish classics, theology, contemporary fiction, non-fiction, history and theosophy. You will have to read their section ‘Publish With Us’ before submitting a manuscript via email. Known across the country for being one of the largest and successful publishing houses, FrancoAngeli was founded in 1955 by Franco Angeli. Italy has long been at the centre of culture and historical debate and revolution. But in the field of business and management, it had very few takers. The publisher saw a need to be filled and started a corporate/management publishing house to print and publish educational materials, books for professionals, corporate guides and books. It has almost 17,000 titles in its catalog and publishes 1000 books annually. Sub-genres such as professional speaking, management techniques, training, logistics, production and finance are also published by them. You can contact the Milan based publisher via email. Established in 1897 by Ettore Baldini and Antenore Castoldi, the publisher had a keen eye to spot upcoming poets and talented writers. Nuanced cultural essays, poems and stories were printed that spoke about the depth of Italian roots and history. They also worked with popular foreign authors such as Hunter Thompson, Haruki Murakami and Ulrich Becher to translate their works in Italian. They print fiction, essays, novels and stories, You can send your manuscript via email after reading the guidelines mentioned here. A modern, unconventional publisher with several imprints, Fandango Editore is also known as Coconino Press. Launched in 2000, it is known for its comic books, graphic novels and translations. Strongly built characters, in-depth narration and powerful locations are some of the common characteristics of their famous graphic novels and comics. At a time when comics were considered frivolous or for children, they broke the notion and published stories that engaged people across the age spectrum. You can contact them via email to know more about them. Part of the Spazio Interiore Group, this publisher prints and publishes books that promote the sustainable, conscious, eco-friendly and peaceful lifestyle. The Group holds workshops, seminars, talks and courses to share their beliefs and values about the biological, holistic and spiritual lifestyle and diet. The publishing house was formed in 2011 and print books on spirituality, holistic health, conscience, philosophy, astrology, tarot, psychology and peace. Send your non-fiction manuscripts to them via email. Editrice il Sirente was launched in 1998 to spread ideas and thoughts about science non-fiction, human rights, laws and fantasy fiction. The company like a lot of Italian publishers had a specific ideology to promote and since then it has evolved by merging commercial demands with cultural beliefs. They also print a lot of books and material about the changing Arab world and its dynamics. Research and essays about nomadic communities, their rights and the world are also a part of their catalog. You can submit your manuscript or proposal after reading the guidelines and contact details here. Part of the prestigious RCS Media Group, Solferino Press is new-age publisher intent on finding original, fresh voices. Despite being part of a huge conglomerate, the publisher is proud and makes free choices based on the originality, quality and content of the books. They have the spirit of a small publisher with the backing of a big firm and accept unpublished, new voices with open arms. They publish fiction, non-fiction, children’s books, memoirs, poetry and novels. You can use their online form to submit your manuscript or proposal. Valentino Bompiani founded the publishing company in 1929 to print books that express the current cultural, political and social scenario. The publisher was committed to allowing voices of all kinds and countries to be heard by the Italian citizens and readers. Bompiani had the distinction of translating Mein Kampf to let the countrymen know the mystery that was Adolf Hitler. Another bestseller they have published that is famous even today is the Little Prince of Saint- Exupery. Some authors include Albert Camus, Jean-Paul Sartre, Philip Roth and Hanif Kureishi. They print autobiographies, translated works, biographies, philosophy, illustrated books, cinema, art, music, poetry, religion, spirituality, travel and essays. You can use their contact form to learn more about their company and submission process. This ancient bookstore turned publisher became the toast of the town when it started allowing readers to discuss and share their thoughts on the books. The bookstore became a cultural icon in the landscape of the city and it got Carlo Alberti, thinking. He knew there was a market for unique, innovative material that draws readers in. He started reprinting old classics, texts and materials so scholars and audiences would enjoy those in Italian. Carlo also became the editor and enjoyed working with writers and authors on their books. With over 300 titles in their catalog, Alberti prints and publishes fiction, non-fiction, German narrative and local history. You can write to them via email and they are based in Garibaldi. A traditional publisher that goes back to the 1950s, Armando has a strong relation to political theory and history. They have taken up challenging subjects and authors that provoke questions and debates. Human sciences, psychology, sociology, linguistics, philosophy, medicine and political theory are genres they tackle eagerly and excitedly. With over 2500 titles in their catalog, they publish contemporary Western authors and translate their works to be available for Italian audiences. You can submit your manuscript via email. Formed in 1988, Ats Italia was a publisher with a love of Italian art and culture. Italy is home to some famous monuments and classic architecture. The publisher printed books along with the Vatican Museum, the Fabric of St Peter in the Vatican among others, discussing history and art. It has expanded its catalog since then to include subjects like children’s books, photography, religious books and guides about history, local architecture and art. 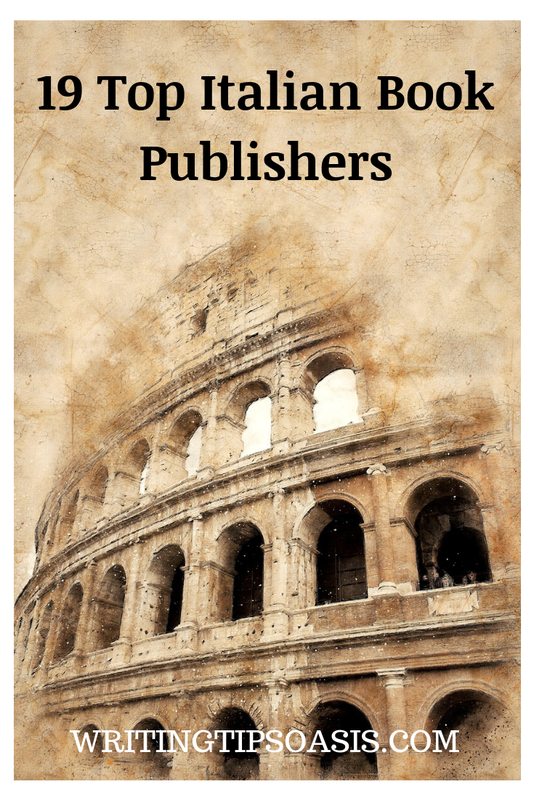 You can use their online form to ask for further information about the Rome based publishing company. An aspiring writer and poet, Salvo Bonfirraro started his publishing firm so he could help other writers and authors achieve their dreams. Sicily was the city of culture, fashion, food and art but very few editorial possibilities. Bonfirraro was launched in 1985 to give Sicilians more than just poetry to read. New authors who had raw, hard-hitting stories to share were given a chance. And poetry was also published because that is the cultural life blood of Italy. History, guides, poetry, non-fiction, fiction, novels, biography and religion are the other genres they print. You can send a manuscript for their consideration via email after reading the submission guidelines. Originally known as Casa Editrice Mammeonline, the publisher was about stories shared by mothers about their children online. It became Matilda in 2016 as they publish books in print and digital about children, their lives and illustrated books. The change was also to signify the direction of the stories. With this new generation, children’s books have become about acceptance, diversity, self-confidence, battling gender stereotypes, female protagonists and character. The name came from Roald Dahl’s popular and lovable character which signifies and stands for everything this publisher believes in. You can fill their online form to submit a manuscript. A small, boutique publisher since 1993, Donzelli is a publisher guided by their creative ideals. Exploring new ideas, creative thoughts, they mix commercial needs with creative desires. Writers and authors are encouraged to push the envelope and break barriers instead of being stuck in a box. They print poetry, fiction, stories, history, politics, nature, social sciences and philosophy. They are not considering Italian contemporary fiction at this time but will look at new translations of classics or works from previous centuries that have been neglected. Before you send a proposal, please familiarize yourself with their catalog so you don’t send any unsuitable material. You can submit your manuscript via email after reading the submission instructions on this page. 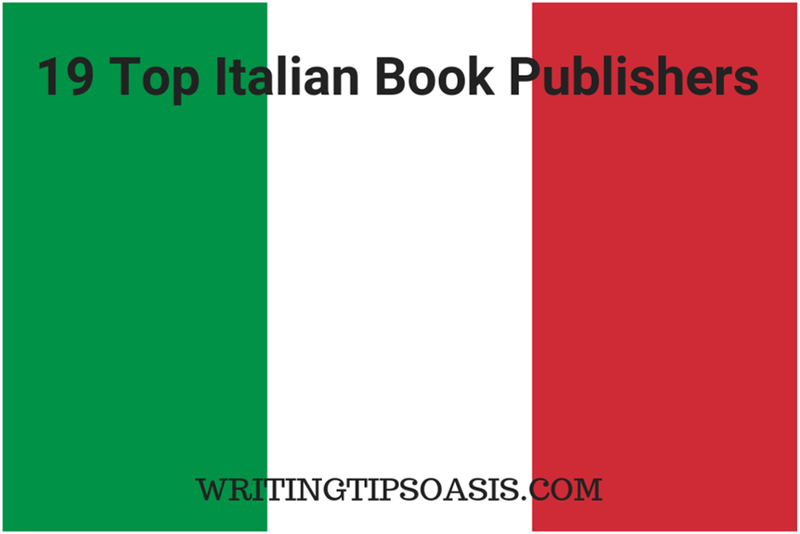 Are you aware of any other Italian book publishers that should be on this list? Please tell us about them in the comments box below.